Talking about the seafood restaurant in Riccione Patty is like talking to a nice vacation in the summer, the sea, the sun, the joy of the staff, but especially the big fish eat and be comfortable with friends, traveling companions with which share the most beautiful moments. The restaurant Patty is a piece of happiness, a restaurant in which everything revolves around the idea of making their guests feel good. And 'this is what we wrote about a dear friend of the customer and this is what we love to be told after long hours of service. In our restaurant located practically on the beach north of Riccione, the watchword is "freshness": raw seafood, fish caught on the hook, the raw materials that we are not just a side dish but key elements for the success a great lunch or a great dinner, are purchased with the specific idea to amaze. We are fanatics of fresh fish and we believe probably the restaurant with the best value for money here in Riccione. Today the restaurant Patty Diego is definitely a meeting point for many tourists especially Riccione and foodies who are looking for a typical Romagna cuisine but never boring. In the menu of the restaurant by the sea "Patty" a decent selection of dishes prepared all the time: a few but interesting dishes that make the difference. 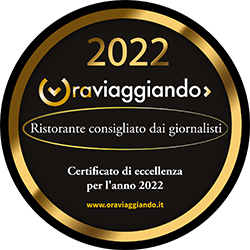 To eat well in Riccione and especially to eat good fish in Riccione, book here. Diego and Amber are waiting for you! make out of our delicious cuisine and refined dishes. Fill out the form or contact us by telephone. Wait for confirmation of the caterer. Successfully sent booking! You will be contacted. NOTE: the booking is not valid without confirmation.